The Tallow River Trappers in conjunction with the South Platte Valley Historical Society holds three major rendezvous through out the year, with The Frozen Toes Rendezvous being the first rendezvous of the year. This event is held each year on the last weekend in February. Early Setup: Saturday and Sunday before official “camp date”. Above ground fire pits required. Shovel and water bucket must be visible. No vehicles in camp after 6:00 p.m. Friday unless pre-approved by the Booshway. Campers must be in pre-1840s dress after 6:00 p.m.
No visible plastic or aluminum containers allowed. Camps with horses must have own insurance. Cannons in designated area by pre-approval only (owners need to sign waiver first). Modern camping and tin tipi area; electric hook-up $10.00. Early set-up is on the Saturday and Sunday prior to the official dates of the Rendezvous. This allows campers and traders to establish their camp the weekend before the rendezvous. Camps must be broken down the last day of the rendezvous. In 1836, Lancaster Lupton, formally a lieutenant in the U.S. Dragoons and a West Point graduate, began building a trade fort that became a competitor to the mighty Bent and St Vrain Fur Company for the fur and buffalo hide trade with the plains tribes. While the original fort that Lancaster Lupton built has long been gone, a dedicated group of individuals began in 2003 to reconstruct the fort. The reconstructed Fort Lancaster, as it was known in its original period of operation, 1836-1844, was completed and dedicated in 2011. 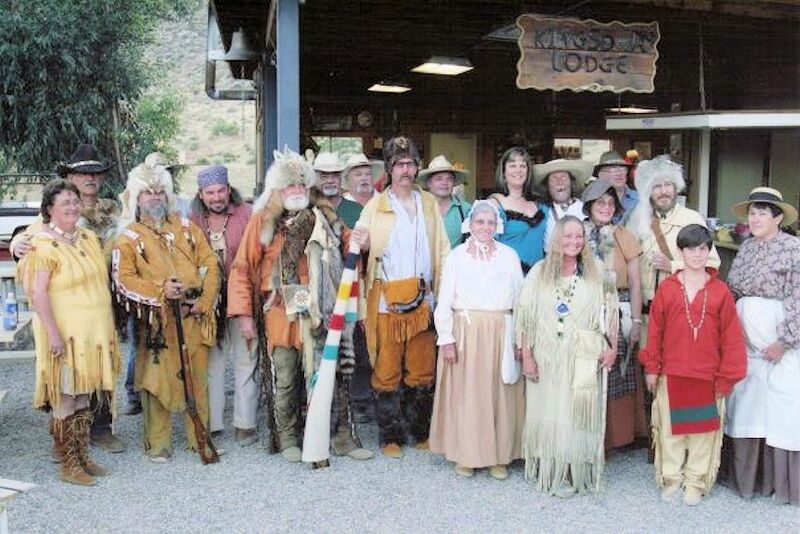 A visit to Lancaster Lupton’s trade fort is an experience of going back in time to when an individual with a vision and entrepreneurial spirit took risks to establish a trade enterprise on the wild prairie along the front range of the Rocky Mountains. Lancaster Lupton first came to the area with a military expedition in 1835. By 1836 Lupton had resigned his commission and was bringing skilled craftsman and labor from the Mexican village of Taos north to build his trade fort. By 1837-38 he was trading with the Arapahoe and Cheyenne tribes. Come see his trade fort and walk through the inner plaza to visit the blacksmith and carpenter shops, living quarters, kitchen and food preparation rooms, trade rooms, cantina and storage room with historic artifacts. Historic Fort Lupton (aka Fort Lancaster) and South Platte Valley Settlement Historic Park encompasses 97 acres of land along the South Platte River just northwest of the city of Fort Lupton, Colorado. The land consists of a large natural and camping area immediately along the river and a high bench of land where the original Fort Lancaster was located. Along the river, in groves of cottonwood trees are camping areas that can be used by Boy Scout and Girl Scout troops with reservations. These camping areas are also used by the re-enactment department of the SPVHS – the Tallow River Trappers – to hold periodic rendezvous events. Immediately along the river are nature areas that are home to deer, turkey, foxes and other animals and birds. At the north end of the historic park is a muzzleloading shooting range leased by the Fort Lupton Muzzleloading Club. Start your tour of the historic park at the re-creation of Fort Lancaster, which was in operation from 1836 to 1844. Move down the path and see the restored trapper cabin from the 1850s, which was originally located down along the Platte River in Adams County. Moving further down the path, your will see both the Independence School built in 1875 and the Donelson homestead house built in the 1860s. The Donelson House and the Independence School represent the settlement of the Platte Valley started by the early fur trappers and traders. The Tallow River Trappers is the living history branch of the South Platte Valley Historical Society, sponsor of the annual rendezvous. The Tallow River Trapper has their own campsite below Fort Lancaster in Fort Lupton, Colorado. They support five other rendezvous a year in addition to the ,and welcome all to attend. More about the Tallow River Trappers. 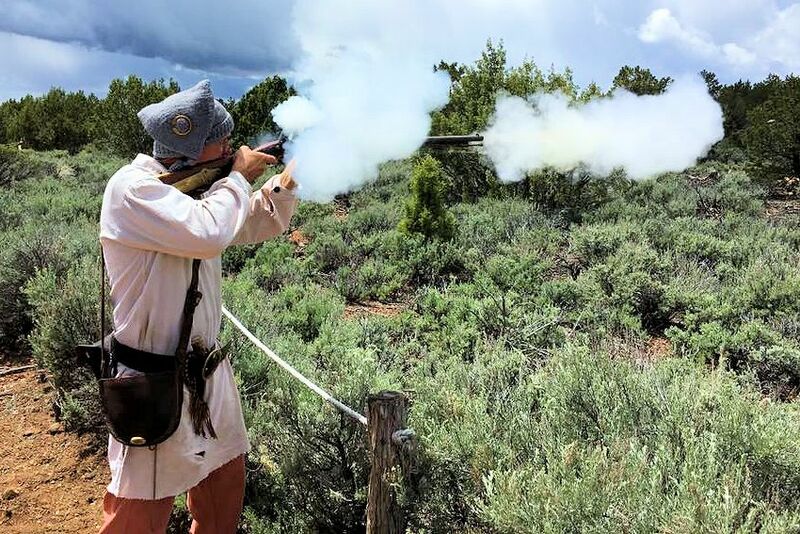 Mark your calendar today so you won’t miss the next Frozen Toes Rendezvous in the rendezvous area of the South Platte Valley Historic Park in Fort Lupton, Colorado on the last weekend in February (Thursday – Sunday with early setup the prior Saturday and Sunday).